At Carte Hall, our accountants abide by high standards to provide you with an extensive range of valuable accounting services. Our professional accounting firm offers assistance with business and personal taxes, accounting, business consulting, bookkeeping, business valuations, debt and financing services, payroll, Quickbooks setup and training, estate planning, retirement planning, asset protection, and much more. 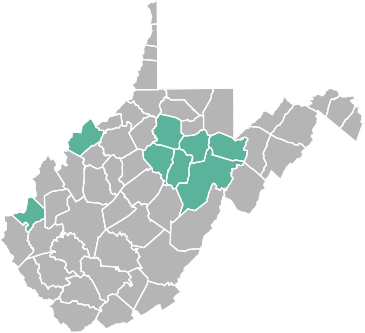 Our convenient location in Elkins, West Virginia enables easy access for clients throughout our service area. Several services are available online, as well. At Carte Hall, customer service excellence is our main priority. We take great pride in delivering superior financial services that are amongst the finest in the nation, right here in Elkins. Each client is important to us. Our team of professional accountants will work with you on a personal basis to ensure that we are providing the best possible service to meet your accounting needs. We are passionate about continuing to exceed your expectations and helping you achieve all of your financial goals. When it is time to choose an accountant to provide knowledgeable advice, assistance, and other services that are critical to maintaining or improving your financial health, contact Carte Hall. We are the region’s most client-focused firm. Your time is valuable to us and we take the time to understand your situation and work with you on a personal basis to help you reach your goals. Contact our dedicated team for assistance navigating the ever-changing financial climate of the business and investment world today. Call Carte Hall at: (304) 637-2369. Thank you for the opportunity to help you meet your goals!